Established in the year 2002, we, 'Meta Links', are involved in Manufacturer, Wholesaler, Trader and Retailer a wide gamut of Chains. 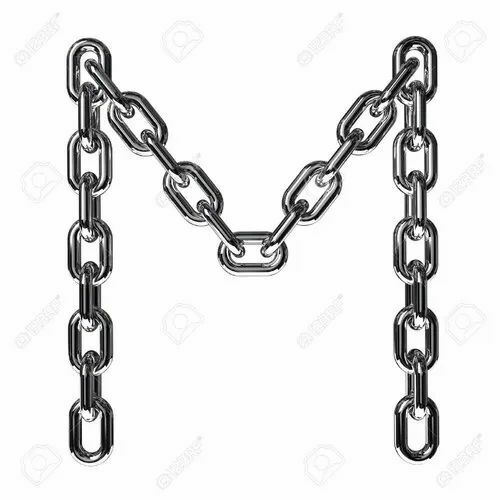 The range offered by us encompasses Mild Steel Chains, Mild Steel Link Chain, Stainless Steel Chain, MS Hand Chain and Pull And Traveling Trolley are manufactured by the professionals using best quality material and latest technology. The offered chains conform their adherence with the industry set quality standards and norms. Moreover, clients can avail the offered chains from us in variegated sizes and lengths as per their needs. Our chains are widely applauded in the market for their features like resistance to abrasion & corrosion and robust construction. Additionally, We are offering Machining Job Work. The products offered by us are sourced from authentic vendors of the market, which make use of high quality raw material in their manufacturing process. These products are widely used in varied industries for different applications. Our offered products are widely acknowledged in the market for their features like high tensile strength, rugged construction and anti-corrosive properties. Before the final delivery, all our products are thoroughly checked by the quality analysts on varied parameters to ensure their flawlessness.